Danny Cheng: "Yes, Brilliant idea, so we can ride bike to work for sure! 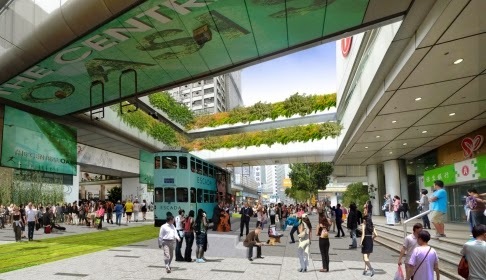 Des Voeux Road Central need to be transform asap; And when can the Bus Company start using hybrid buses!? 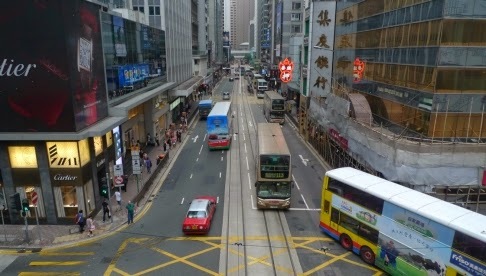 Please do something for our city asap now"
Busy Des Voeux Road Central in the heart of Hong Kong's business district should be transformed into a bus-free zone so that pedestrians and office workers can breathe cleaner air, the Institute of Planners has suggested to the government. 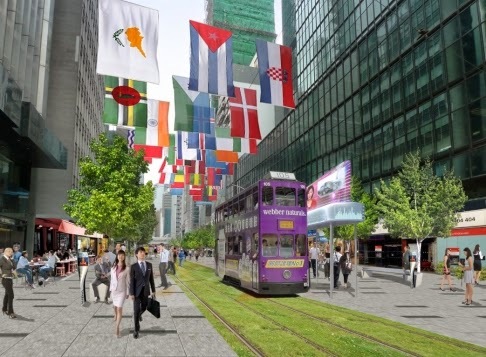 The vision was laid out in a joint study by the institute, City University, the Civic Exchange think tank and the MVA Hong Kong transport and planning consultancy firm. 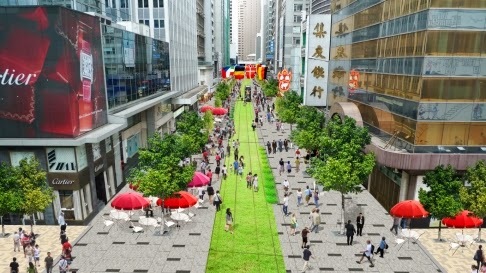 Under their plan, the 1.5-kilometre section of Des Voeux Road Central, stretching from Pedder Street to Morrison Street, would be closed to all vehicles except necessary traffic such as banks' security vans, delivery vans and emergency vehicles. 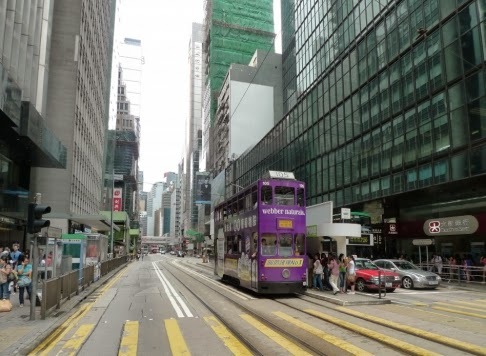 Bus routes would be diverted to Connaught Road and nearby streets so that the tram would become the only form of public transport allowed along Des Voeux Road Central.